Improve the overall interior design of your living room, dining room, or hallway with this Safavieh Courtyard area rug. Modernly designed with you in mind, this plush synthetic indoor/outdoor rug will be a great addition to your home. High-quality and high fashion, this machine-made rug is perfect for you. This contemporary blue rug has a lovely geometric pattern for an impressive look. 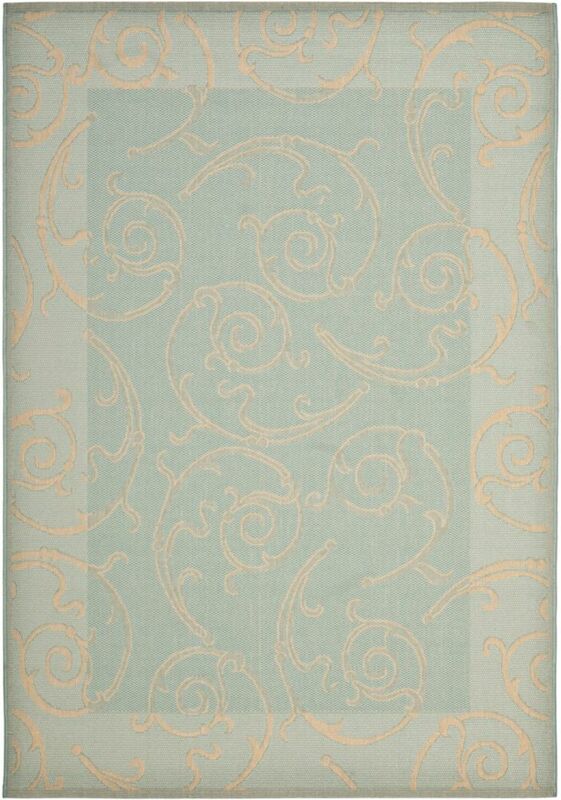 Courtyard Blue 5 ft. 3-inch x 7 ft. 7-inch Indoor/Outdoor Rectangular Area Rug - CY6108-25-5 Improve the overall interior design of your living room, dining room, or hallway with this Safavieh Courtyard area rug. Modernly designed with you in mind, this plush synthetic indoor/outdoor rug will be a great addition to your home. High-quality and high fashion, this machine-made rug is perfect for you. This contemporary blue rug has a lovely geometric pattern for an impressive look.